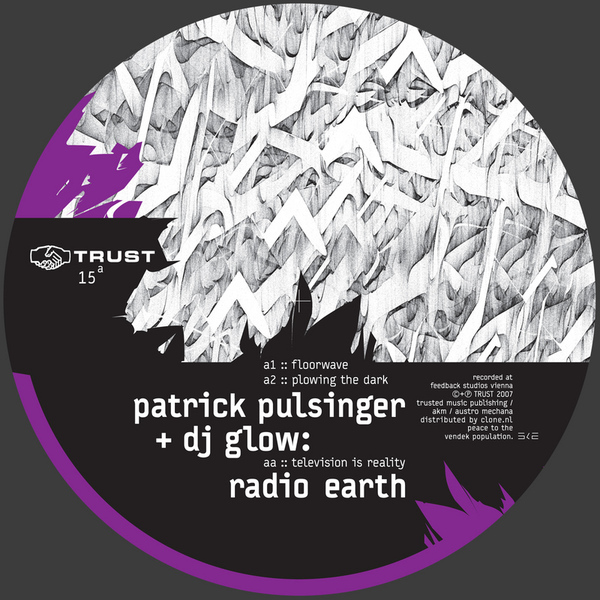 Latest Trust twelve, this time round seeing the unlikely pairing of label-head DJ Glow with the spiritual godfather of Vienna's electronic music scene - Patrick Pulsinger. Pulsinger has, of course, been involved with just about every type of music you can imagine, but his recent return to the more dancefloor-orientated material of his prime has been hugely enjoyable to witness. The tracks here fall firmly into that category, influenced by robust no-nonsense 90's Underground Resistance techno on the A-side, while the flipside unleashes the 7-minute monster "Television is Reality" and a few tools for the turntablists out there. Great twelve on this forever inventive label, check!